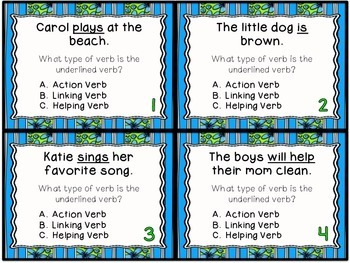 There are 24 cards where the students will read a sentence. 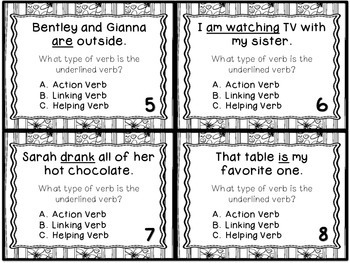 There is an underlined verb in each sentence. 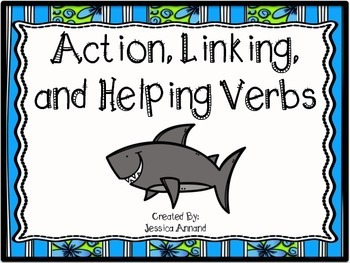 The students will determine if the verb is an action, linking, or helping verb. Recording Sheet and Answer Key included. 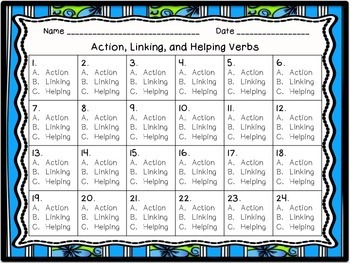 There is also a worksheet for independent practice or to do together as a group. Could be used as a SCOOT or a center. There is also a black and white version for easier printing.